As you may know, Facebook is still the largest social media platform in the world, with over 1.76 billion monthly users. The platform continues to go from strength to strength, with over 1.71 billion monthly active Facebook users, which is a 15 percent increase year over year. With such a widespread audience, this is why you should take a look at Facebook advertising; your ads could potentially reach millions of people. 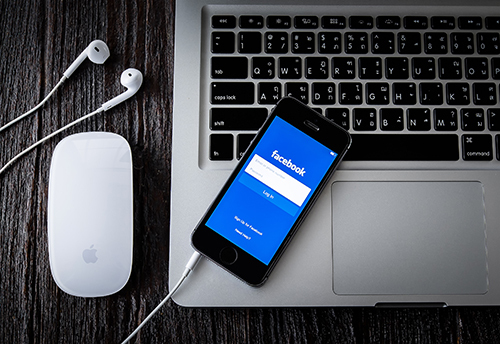 Facebook ads can be very specific and well targeted and are also a great way to segment and establish strong relationships with PC’s (potential customers). They rely a lot on relationship marketing, allowing you to create better engagement and social interaction, with the possibility of getting PC’s to like and share ads and posts, giving your brand that little more exposure. One of the great advantages of using Facebook is the fine level of detail you can go to when creating your target audience. In comparison to other targeting tools, Facebook’s advert creator, and business manager is one of the best. There are so many different options that allow you to create your target audience. Everything from the Location to the demographic, languages, education level, interests, and behaviours can all be altered so that your service or product is being targeted at the best people. For example, if your business was promoting a five a football service, your first objective would be to understand who your audience is. Building a customer profile is the best way to know what type of customer you want to attract. For example, Louis is aged 24; he currently lives in Birmingham and loves Aston Villa, with his favourite player being Gabriel Agbonlahor. He currently works as a salesman at BMW and loves playing FIFA with his mates. From building a customer profile, such as this, you can begin to identify and target individuals who like these certain Facebook pages. Although being specific is important, it’s important not to be too specific, when typing in your preferred interests. It’s all well good knowing your target audience from a demographical point of view, but the real question is what locations you target. Let’s say you target Manchester, you type Manchester into the location box and leave it at the default 25- mile radius. However, notice that by leaving it on default, your targeting everyone in this location. Although this may seem fine, if you break this down, everyone in the location includes residents, as well as those visiting or just passing through. As an example: You may have set up a new football five – a – side league centre in Manchester and want to target people that live in the area. You can quite easily miss the drop down menu, where it says, people who live in this area. It may be the case, that there is 3 million within the radius but only 2.5 million that live there. Which means you could be wasting 5% of your ad budget. It’s important to make sure you’re targeting the right people; however, it is just as important to make sure that there is a large number of them. Adjusting the filters too much and adding a long list of interests, may cause your ideal audience to be too specific, which may see your potential reach figure decrease from thousands to hundreds. For any business, it’s essential that you don’t cut yourself too short and target as many people within your chosen audience as possible. Although your ads look great on a normal desktop computer, it’s important to understand that they need to appear just as well when accessed through mobile. According to reports, there were 1.57 billion mobile active users for June 2016 with a 20 percent increase year on year. On a daily basis, there were 1.03 million active users for June 2016, which is due to increase by 22% year over year. This shows that users are accessing Facebook more and more through their mobiles. It may be the case that your target audience, for example, is females aged 18 – 24. This particular demographic is statically known to access social media platforms through their mobiles rather than desktop, which makes it that more important, to ensure the ads are presented in a fashion that it is easy on the eyes to users. Many businesses forget to optimise their ads for mobile and later come across problems such as cut off sentences, abnormal image sizes, and squandered headlines. This could potentially cause a negative effect on the number of conversions you get from these ads, whether they’re signing up or making actual purchases. Facebook has a range of functions that require tracking pixels to be added to your website. The most common examples include building Custom Audiences to retarget users that have visited your website, tracking conversions from users who have seen your Facebook ads and using tracking pixels to stop showing ads to users who have already converted. These all come under the Facebook Pixel. It is important to establish a clear target audience before adding any design elements to the advert. By conducting market research you will be to gauge a good understanding of the audience you should be targeting, in order to maximise results. Facebook Advertising could be the perfect platform to give your business the exposure it deserves. To find out more why not give us a call.